HomeKeepr announced today that over 30,000 Realtors operating in more than 2,500 locations across North America have posted over 1,500,000 home service provider and local business recommendations to the HomeKeepr platform. "We couldn't be happier with the engagement we're seeing from the Realtors on our platform," said HomeKeepr CEO, Rob Morelli. "As a whole, agents have recommended over 100,000 unique home service pros and continue to do so at a pace of about four to five hundred every day. In doing so, they’re supporting their communities and helping their clients discover the best and most trustworthy pros." Most of the recommendations have been posted in just the last 6 months, driven from its recent collaboration with Keller Williams and the integration of HomeKeepr’s software within the very popular Keller Williams Realty Real Estate Search app. HomeKeepr allows agents and brokerages to harness their local expertise and make it available to clients through agent-branded mobile and web applications. Specifically, real estate professionals upload to HomeKeepr their trusted network of home service providers and then share this network with past clients and professional partners for use whenever there is a home maintenance need. HomeKeepr also provides monthly customized home maintenance tips that help homeowners maintain their properties while keeping agents "top of mind". About HomeKeepr: HomeKeepr is the premier way for real estate professionals to stay connected to clients and distinguish themselves from the competition. 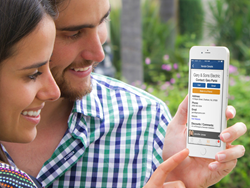 Clients are invited to download an agent’s personalized app in order to receive the agent’s directory of trusted home service providers and local businesses. Clients also receive monthly agent-branded home maintenance reminders, a set-it-and-forget-it way of staying top of mind and winning more referral business. For more information, visit http://www.homekeepr.com.